What is the 52nd wedding anniversary name and symbol? The 52nd wedding anniversary of a not-so-newlywed couple is definitely an event worth celebrating, with the traditional modern gemstone of the star ruby. 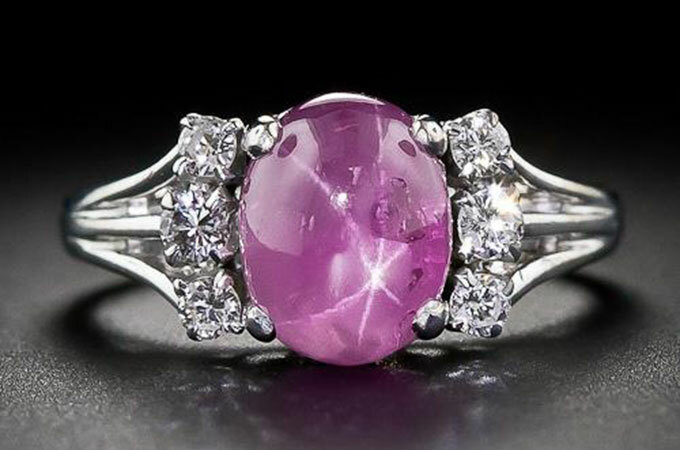 The star ruby is referred to as the eternal gemstone. Revered in many cultures throughout history, Ruby has always been a talisman of passion, protection and prosperity. It symbolizes the sun, and its glowing hue suggests an inextinguishable flame within the stone that legends claim would shine through even the thickest clothing and could not be hidden. Just because there is no set tradition, you can still surprise your spouse with a great 52nd anniversary gift. Traditionally, the two of you celebrate this milestone with a romantic dinner or party. Why not up the stakes, and plan a vacation to the place where you first met, were married or any other place you’ve always wanted to visit but never had the chance. This is also a great gift for children to give their parents. They can pay for the travel arrangements, lodging accommodations, touring adventures and any other amenities and events offered at the destination. What can I buy my husband for our 52nd wedding anniversary? These gift ideas can also be for spouse and grandchildren for a 52nd anniversary. Tailor your gifts around their interest and activities. What should I buy my wife on our 52nd wedding anniversary? Afternoon Tea on the Belmond Northern Belle. Fifty two years married one for every week of the year the number of playing cards in a pack leaving out the jokers of course. These could be inspiration for gift ideas for this anniversary, travel 52 miles from where you live to a new restaurant, 52 flowers in a bouquet with all the colours from previous anniversaries. A collage of 52 photos in a nice frame with children and grandchildren. Enjoy this 52nd anniversary and reflect on all the years you have spent together.